Dr. Ezzedeen completed his dermatology Master degree in Syria in 2008, and further engaged in cosmetic dermatology ever since. Since he was the best graduate with the highest degrees among his colleagues, he was designated as an assistant doctor and trainer in his specialty. Additionally, he was named as a trainer for International Committee of The Red Cross – ICRC. He has extensive experience in diagnosing and treating various skin, hair, and nails conditions. Dr. Ezzedeen stresses the importance of education and skin care as the best method for skin prevention and anti-aging. 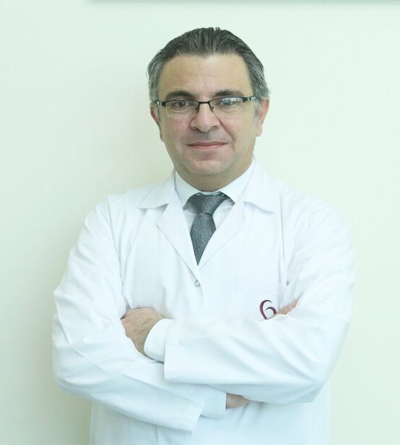 Dr. Ezzedeen carries 10 years of work experience in the use of our line of skin health programs. Dr. Ezzedeen also performs non- surgical treatments such as Botox & Fillers, threading, PRP, cryotherapy, mesotherapy and controlled depth and stimulation facial peels along with the use of the latest skin laser and RF technologies. Building up his professional career, attending international conferences and workshops kept him updated with the latest technology and procedures in cosmetic dermatology. For many years, Dr. Ezzedeen has been well known by his good reputation among his colleagues, patients, and medical and cosmetic companies, and for many doctors, suppliers, and manufacturers he is considered as a trustful reference. He is dedicated to the needs of his patients and uses the most advanced medical lasers and non-surgical techniques available to reach the satisfaction of his patients, proven by the condensed clientele list out reaching her who trust their skin needs with someone as trained, experienced and knowledgeable as Dr. Ezzedeen. Dr. Ezzedeen enjoys camping and discovering the nature, working out, and in his spare time reading a good book. It’s down to the quality of service we provide. We value excellence as a trait and enhance our work to achieve it. We focus on an interactive association by offering you different choices and guiding you to take the best. We believe in cultivating an authentic and trusting relationship. © 2019 Heart Beat Medical Center & One Day Surgery. All rights reserved.